I’m a big fan of ggplot2. Recently, I ran into a situation which called for a useful feature that I had not used previously: aes_string. 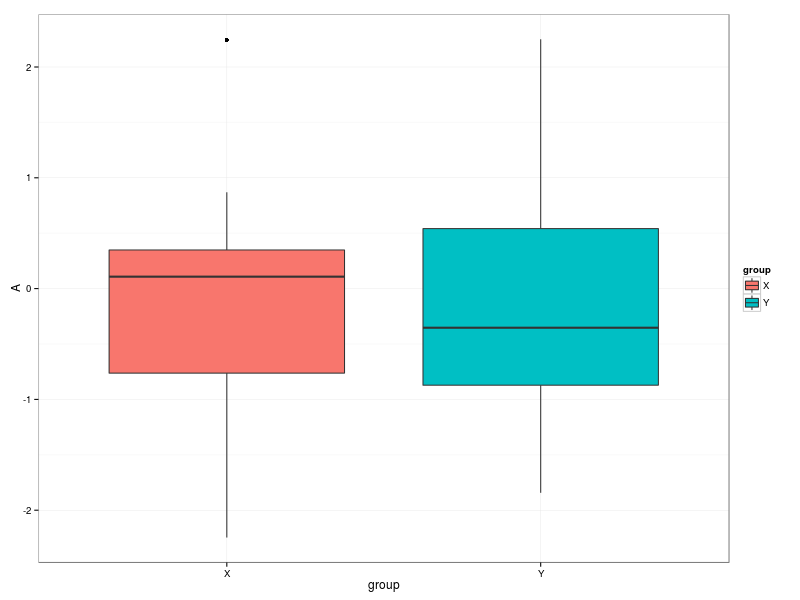 Here, the arguments to aes() are expressions (group, A) which ggplot interprets as column names from the data frame. You see the problem. How do we pass the column names which are characters, not expressions, to aes()? The answer: use aes_string() instead. function operates on strings rather than expressions. It’s a little ugly as it stands (better to write a function using one of the apply family). However, the key point is: you can pass data frame column names as expressions to aes() or as characters to aes_string(). With thanks to Hadley’s contribution to this mailing list thread.